Store and transport your stove accessories with convenience and ease. Durable bag features wrap handles and extra space for additional gear or supplies. Double as an excellent gear bag. 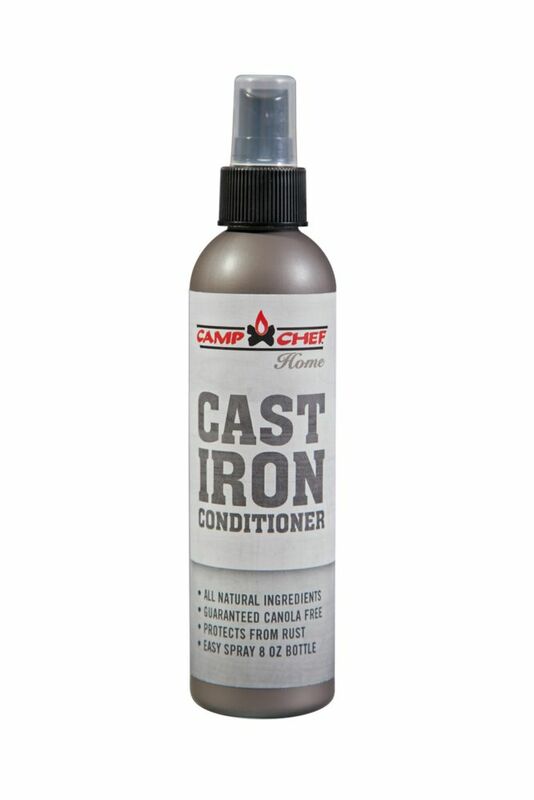 Cast Iron Spray Conditioner This Conditioner is the best way to 'season' your cast iron Dutch ovens, cookware, grill grates, or burners . Recommended by world champion Dutch oven chefs. Made of allnatural ingredients to protect your cast iron. It only takes a little of the mixture to properly care for your cast iron to ensure years of use. A must have for any who regularly uses their cast iron. Now in a new easy spray bottle. Cast Iron Spray Conditioner is rated 5.0 out of 5 by 4. Rated 5 out of 5 by TwinB from SKILLET LIKE NEW! I compare this cast iron conditioner like a great conditioner for unruly hair! I used it on the worse skillet, the ribbed grill pan after grilling chicken, and it left it shiny and "gliding" at the next use! I definitely recommend this product! Rated 5 out of 5 by Sparky52 from My ovens look better than ever! Bought this last week and my ovens live it!!! Glad I found this. Ovens look new again. (well almost) Just a couple of squirts is all it takes. Rated 5 out of 5 by Jimshouse from Unbelievable product This stuf even works on ceramic coated cast iron and coated stainless steel products. after rubing a light coat on my ceramic coated cast iron skilet grill and let it sit over night. I did this 3 days in a row. Instead of sticking Fried or scrambled eggs actually slide out of the pan now. Better than ever before.